Largest staff for a Resident Evil game yet. Capcom shared new details on the yesterday-announced Resident Evil 6 during the series’ 15th anniversary celebration in Japan today. Director Eiichiro Sasaki, executive producer Hiroyuki Kobayashi, and producer Yoshiaki Hirabayashi took the stage to discuss the project. Resident Evil 6 has the largest staff number in series history, Hirabayashi revealed. The Japanese team has around 150 people, but combined with overseas staff and additional parties, it comes in at over 600. 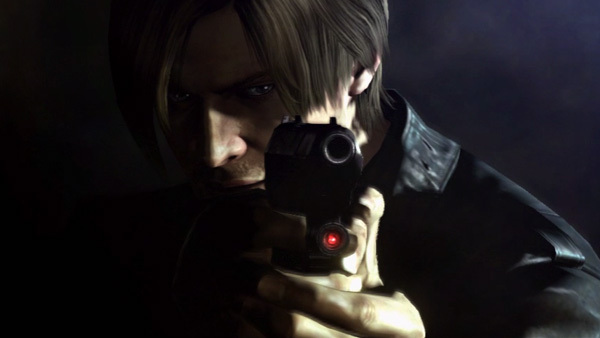 Zombies will make their long-awaited return in Resident Evil 6. According to Kobayashi, there are many secrets surrounding them. But zombies don’t make up all of Resident Evil 6, as there are other enemies, as well. Kobayashi teased that the “Javo” creature shown in the trailer has greater significance than zombies, though wouldn’t go into detail. No mention was made of the unlockable Ada Wong story arc first reported by IGN. As far as story, much of what was shared we already knew. The game kicks off when the President of the United States – with friend Leon S. Kennedy by his side – decides to share the truth about the Raccoon City incident, when an bioterror attack on the White House transforms him into a zombie. Leon and Presedential security girl Helena Harper end up as teammates and travel together. Meanwhile, in China, Chris Redfield is pursuing a bioterrorist threat. Both stories will progress side-by-side and eventually overlap. Resident Evil 6 is due for PlayStation 3 and Xbox 360 on November 20, 2012. View the first set of screenshots at the gallery.